A wireless motion sensor is an electronic device that makes use of innovative technology, to detect motion within a specified location. Its mechanism is quite simple, once it detects movement; the sensor conveys a signal to the sound system, triggering an alarm. These motion detectors equipped with alarms are available in a plethora of shapes and sizes, and as a result of newer technologies, these devices have become more portable and accurate. Moreover, their easy installation and transportation makes them even more convenient. Almost every lethal fire incident starts off with an ignition of a small flame, which isn’t often detected until it has already burnt down the valuables. However, by getting your premises equipped with a flame detector, you can avert such disasters or at least minimize their detrimental effects, to a significant extent. 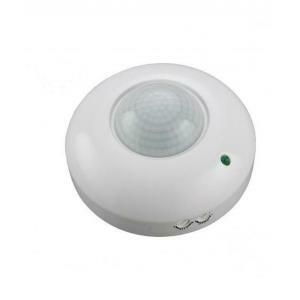 In addition to motion and flame sensors, you can shop for infrared, water, light and even energy saving sensors, to provide you and your property with an all -round protection from any uncalled for desolation. We at Moglix, offer a variety of these sensors, sourced from trusted brands, delivered with precision, right at your doorstep! Explore now, and add an additional layer of protection to your house/office. You can choose from a number of different brands, for instance, True Sense, Palladium Agni, Blackt Electrotech, HPL Flame and, Vantage. Moreover, when you buy products from Moglix, you are presented with a luxury of flexible payment options, such as, credit/debit cards, COD (on specific products), Net banking, Prepaid Payment and, even on credit! All of this, to provide you with a paramount shopping experience, which is second to none! Every product that is stocked on Moglix is subjected to a multipoint quality check, before being dispatched to our esteemed customers. This helps us to make sure that we are not just delivering a mere product; we are delivering satisfaction, which has further helped us to gain the precious trust of our customers, in addition to facilitating our vision to set a quality benchmark in the B2B Industry. Therefore, whether you buy sensors, or any other commodity from Moglix, be assured that you will be presented with utmost quality at all times.